A new unmanned intelligence gathering and surveillance aircraft on a test flight made a crash landing at Naval Base Ventura County. 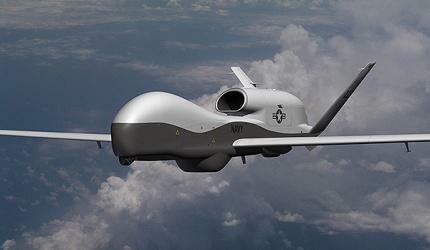 An MQ-4C Triton was on a test flight Wednesday afternoon when it had a mechanical problem. As a precaution, the pilot shut down the engine, and tried to land the aircraft on a runway at Point Mugu. The craft’s landing gear wouldn’t deploy, so the pilot made a belly landing. No injuries were reported. The cause of the problem which triggered the emergency landing is under investigation. The Triton is a new high tech aircraft designed to fly up to 30 hours, at a height of 55,000 feet. It’s 47 feet long, with a 130 foot wingspan. With its advanced technology, it can survey 2.7 million miles of ocean during a 24 hour period. The first in a new generation of high tech Navy drones is set to be delivered to Naval Base Ventura County this month for testing. KCLU's Lance Orozco looks at the growing unmanned aerial vehicle program at Naval Base Ventura County, which is home to maintenance facilities for some of the Navy's secret cutting edge UAV's. In a hangar at Naval Base Ventura County’s Point Mugu facilities, there are a half-dozen craft which look like strange little helicopters. They almost look like sharks, with rotors attached, and the biggest thing you notice is there’s no cockpit for a pilot. 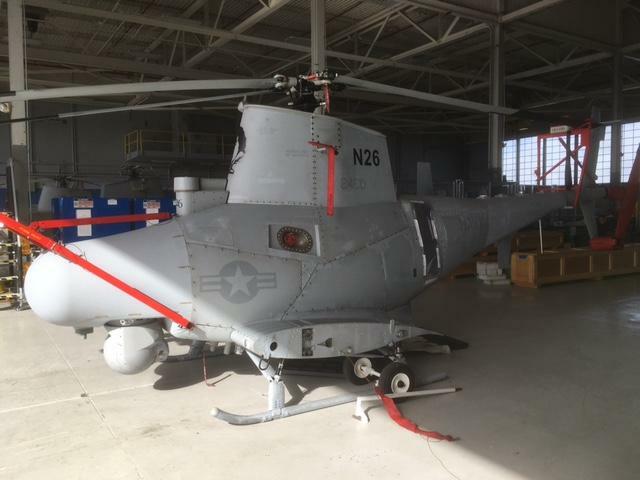 They are the Navy's MQ-8B Fire Scout helicopters, with the technology of these unmanned ship based craft so cutting edge access to this hangar is restricted, and we can’t even identify the man giving us the tour of the facility.